Proposed legislation in California would require retailers to generate electronic receipts unless customers request paper receipts. Lawmakers in Illinois are proposing similar legislation. But such bills are based on misinformation about paper receipts and ignore privacy concerns for consumers and costs for small businesses. California bill AB 161, dubbed “Skip the Slip,” recently passed the state’s Committee on Natural Resources and is headed to the Assembly Privacy and Consumer Protection Committee. The bill would require all retailers in the state, including state agencies, to purchase new payment software — like that offered by Square, Inc. — by Jan. 1, 2022 so they can generate electronic receipts via email or text message, with paper receipts available only by request. Businesses that don’t meet the deadline could be fined $25 a day up to a maximum of $300 per year. But business owners won’t be the only ones footing the bill for the proposed legislation; taxpayers will pay, too. When the time comes to upgrade all of the state agencies’ payment systems and hire additional inspectors to enforce the legislation, the money will be appropriated from public funds. Not only would these companies benefit in terms of new equipment sales, but they also would receive a percentage of every sale completed on their devices. But none of that is mentioned in the bill. Neither are the privacy concerns of consumers who would now be asked for their email or phone number at each transaction — data that could potentially be mined for future sales and marketing efforts, or worse, sold or stolen. What is mentioned are mischaracterizations of the amount of bisphenol-A (BPA) and bisphenol-S (BPS) in lightweight thermal paper, the health risks associated with handling thermal paper and claims that BPA and BPS make paper receipts unrecyclable. The truth is that lightweight thermal receipt paper manufactured in the United States is BPA-free. We know because we make it at our Marlboro Mill and send it to Appvion in Appleton, Wisconsin, which applies the BPA-free thermal coating. At the time of this writing, Appvion is the largest North American producer of thermal point-of-sale receipt paper, and the company hasn’t used BPA since 2006. While BPA can still be found in lightweight thermal receipt paper produced in Asia and Europe (the EU is phasing it out this year), the amounts are well within the acceptable levels monitored by the United States Environmental Protection Agency and Food & Drug Administration. Paper receipts made from imported thermal paper don’t pose the significant health risk mentioned in the Skip the Slip bill. The same is true for all lightweight thermal receipt paper that contains BPS. Similarly, the bill overstates claims that paper receipts can’t be recycled. 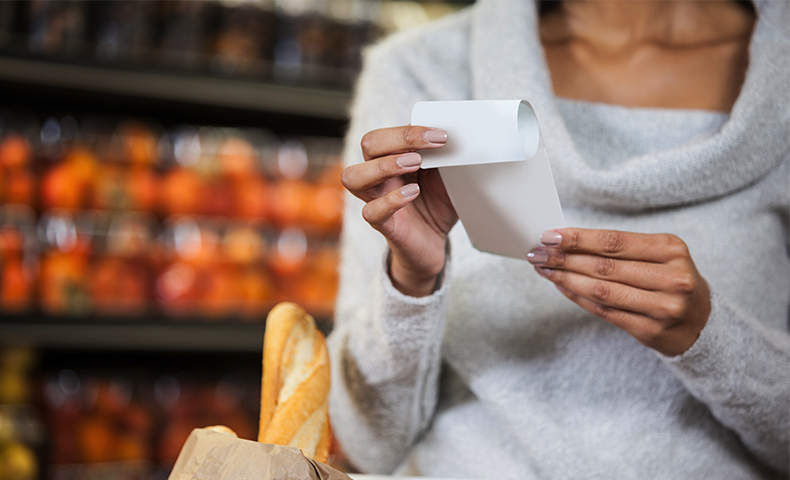 Lightweight thermal receipt paper is just as recyclable as any other paper and doesn’t pose any more of a threat to the recycling stream than other materials containing phenols, such as aluminum cans and plastic bottles. In fact, as BPA levels in imported lightweight thermal receipt paper continue to fall, this will become even less of a concern. Domtar Government Relations Vice President Tom Howard says the disruptions caused by the bill will negatively impact businesses models that are predicated on paper. When it comes to legislation banning paper receipts, skip the myths before you skip the slips. “We are committed to not only protecting our industry’s interests but also advocating for people’s right to choose paper,” Howard says.